Happy 2014 one and all. Did everyone survive the festive season in style? As usual, my main injuries/problems revolved around Christmas Tree instillation, decoration and removal. But I'll save that fascinating tale for another time. 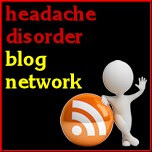 And yes, I realise none of these have anything to do with migraine. But surely the purchase of a new coat, which I will be wearing when I speak fluent French, which will of course attract my ideal mate, can only be good for my overall health - which is beneficial to my migraine. Obvious really. @MigraineTrust will try to cut out chocolate & cheese where I can. They tend to be my triggers. I hope the above people don't mind me pasting their answers here - but they display an interesting array of ideas, problems, triggers and solutions. I'm resolved to keep fighting the buggers, learn as much as I can about the condition, continue to develop a life that has nothing to do with migraines - and get a new coat. Let's go 2014! Has Topamax made me go blind?! Part three. 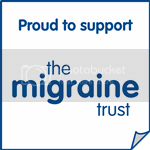 Migraineur Of The Month: Miss January!